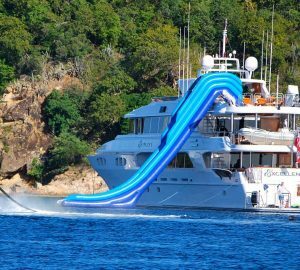 The motor yacht RICHMOND LADY is a 43 m 142 (ft) spacious composite vessel which was produced by Richmond Yachts and concieved by Setzer Design Group. The gracious motor yacht was designed with a naval architect called Setzer Design Group. Pavlik Yacht Design acted on the interior design. RICHMOND LADY is the fifth hull and comes after well known yachts such as "Status Quo" and "Sun Chaser" which are also from the 142ft Richmond series. RICHMOND LADY has vertical bridge-windows which sets her apart from the other 142/5-foot boats in the series. Setzer Design Group was the naval architect involved in the professional superyacht composition for RICHMOND LADY. Her interior design was conceived by Pavlik Yacht Design. Setzer Design Group is also associated with the yacht general design work for this yacht. In 2008 she was actually launched to triumph in Richmond Bc and post sea trials and final completion was thereafter delivered to the new owner. Richmond Yachts completed their new build motor yacht in Canada. The hull was built out of composite. The motor yacht superstructure is made extensively using composite. With a beam of 8.53 metres / 27.99 ft RICHMOND LADY has fairly large size. A fairly shallow draught of 2.2m (7.22ft) determines the amount of ports she can visit, depending on their particular depth at low tide. Installed with twin CATERPILLAR diesel main engines, RICHMOND LADY can attain a maximum speed of 17 knots. She also has an economical range of 3000 nautical miles whilst underway at her cruising speed of 15 knots. 43.28 metres / 142 feet. Her top Speed is around 17 nautical miles per hour. 3000 at a speed of 15 knots. The minimum draught is 2m/6.56ft. In October 2009 RICHMOND LADY sailed to Sunrise, in United States. 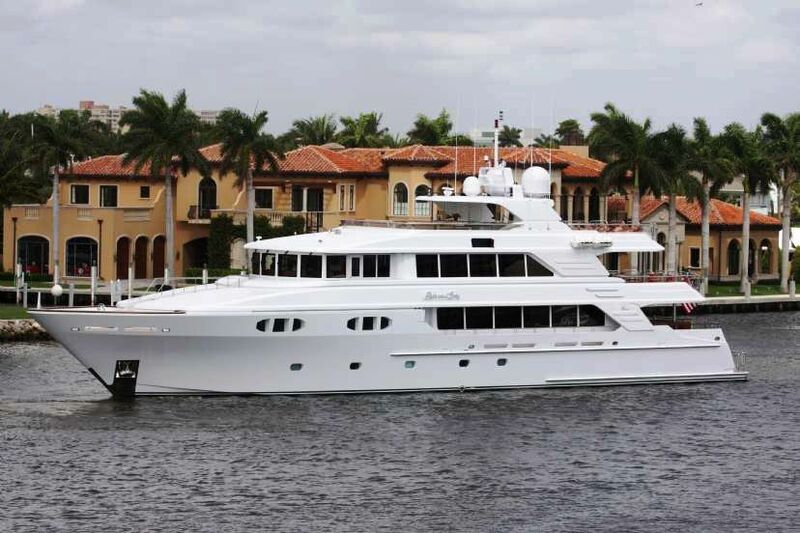 This motor yacht has traveled the area within Broward County during October 2009.